Unlimited sound research has always been the mission of one-man project IMPULSE. Consequently, IMPULSE is an ardent proponent of walking untrodden paths and has clear difficulties coming to terms with orthodox ways of sound-organization or music-making. IMPULSE's always thoroughly pondered soundscapes span the complete range from field recording ambience to monotonous, driving and hypnotic sound formations, from industrial noise to piano tinkle, from electronic sound combinations to percussive freestyle art. IMPULSE is different, defiant, unpredictable and disruptive. Featuring Alex P. from Maggot Shoes in guest appearance. 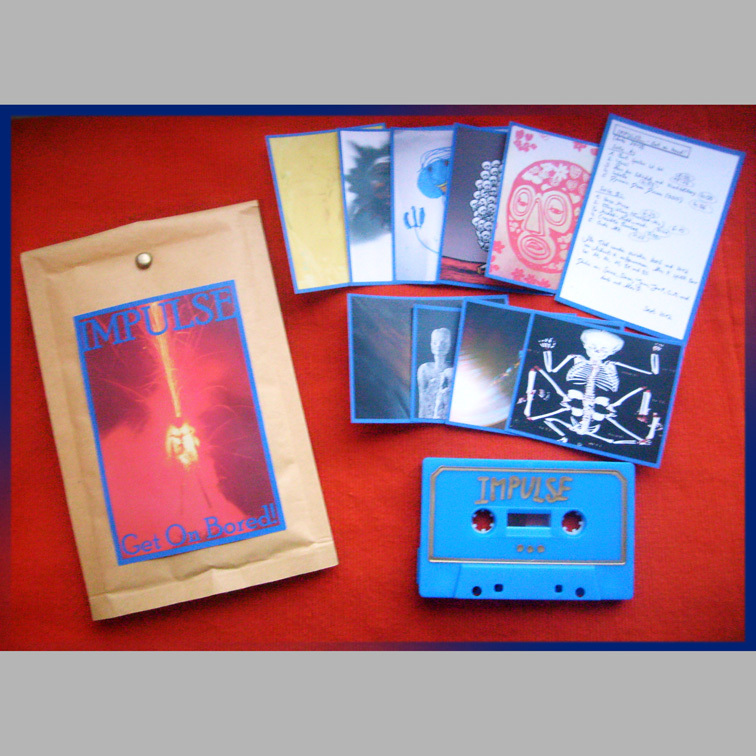 This is the debut tape, limited to 50 copies.